Designed for and by composers, sound designers and musicians, Meteor is a creative tool that delivers rich and layered swells, dramatic crescendos, and powerful impacts. Outfit 7 sample layers with a massive collection of sounds from field recordings and effects to exclusive orchestral sessions directed specifically for Meteor. Intuitively mix, modulate and apply high-quality effects to polish and perfect your sounds, then perform them synced to the action or musically with polyphony and velocity support. 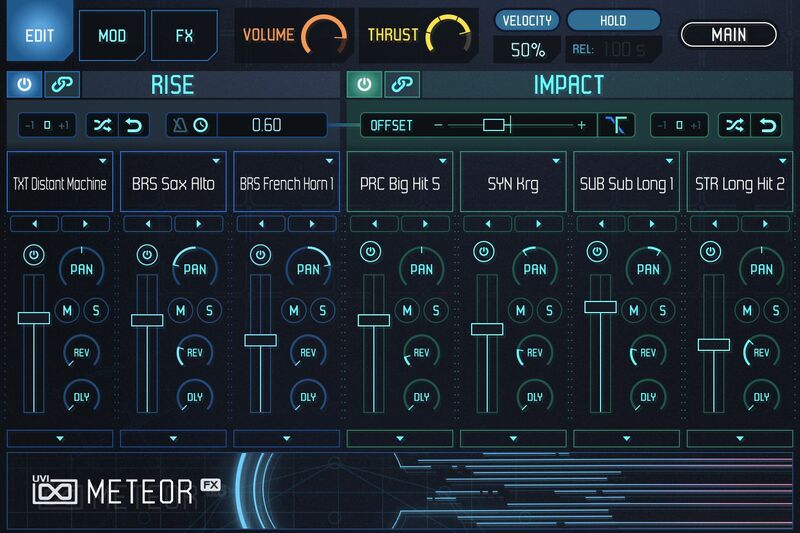 Meteor provides a deep feature set complemented with a fast and intuitive workflow, yielding everything from futuristic builds and surgical impacts to rich and emotive musical environments. Meteor's interface was designed for efficiency, providing the appropriate level-of-detail for the task at hand. Looking for inspiration? 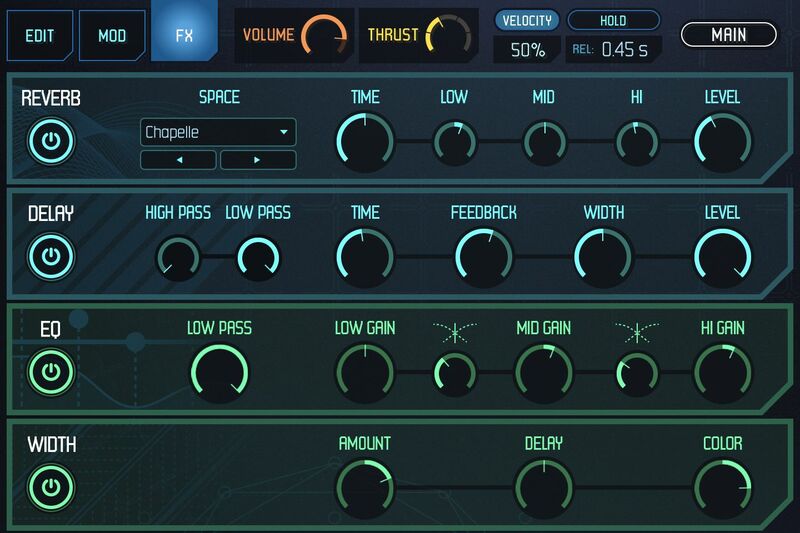 Load it up, set the desired rise and impact times, quickly audition presets or click the randomizer for an endless supply of unique configurations, then crank the Thrust knob to take your sound to the next level. Want to customize your sound or prefer building them from the ground up? Click the 'Settings' button for detailed controls, design each layer with a huge selection of sounds and controls, then finalize it with modulations and bus effects. If you want to use Meteor as an instrument in your music, turn off "Hold" and play the sounds with full control over pitch, velocity and timing. At a high-level Meteor is a 7-track sample player divided into 2 sections, with 3 layers dedicated to rise sounds and 4 layers dedicated to impacts. 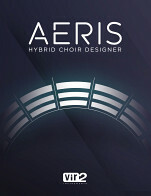 Each layer offers both general track controls including volume, pan, bypass, mute, solo and effect sends for reverb and delay, as well as controls specific to the layer type. Rise tracks each include a customizable velocity curve, volume and pitch modulation, multi-mode distortion and a multi-mode filter. Impact tracks each include time offset, transient and tail length, multi-mode distortion, multi-mode filter, pitch glide and an IRCAM Granular mode. Both the Rise and Impact groups have track locks allowing you to make changes to individual tracks or all tracks simultaneously, along with bypass, octave switch and randomize/undo functions. Rise time can be set in either free or beat-sync modes and can be locked to maintain your timing while browsing presets. Impact timing defaults to the end of the rise sound, but can be offset forwards or backwards to play in sync, delayed or anywhere in-between - combined with individual layer offsets this allows for the creation of varied and complex sequences. Subtle-to-wild motion can be added to your sounds by way of an LFO, Multi-Step Filter and Multi-Step Panner, each able to target the Rise and Impact groups individually or together. Stereo bus effects include a high-quality 3-band EQ with low-pass filter, convolution reverb, delay, width and a unique compression/enhancer effect called 'THRUST', providing a powerful one-knob control of the overall intensity of your sounds. The sound library of Meteor has been meticulously designed to provide a wealth of inspiring and useful material for years of hit-making. 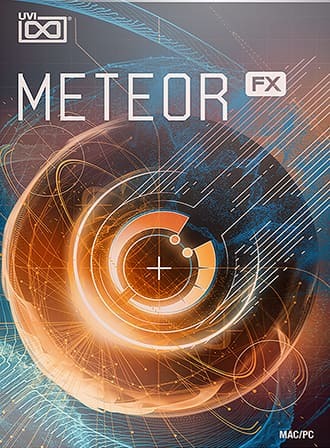 From exclusive field recordings, foley, synthscapes and textures, to effects and instruments including symphonic orchestra sessions directed specifically for Meteor. Field recordings and foley were captured by our sound designer team in different places (including a junkyard and a farm) to provide rich tonal beds and organic micro-details including plenty of glass, metal, rock and organic materials, along with gunshots, explosions, whacks, thwacks and thuds provide physical sound with striking clarity. 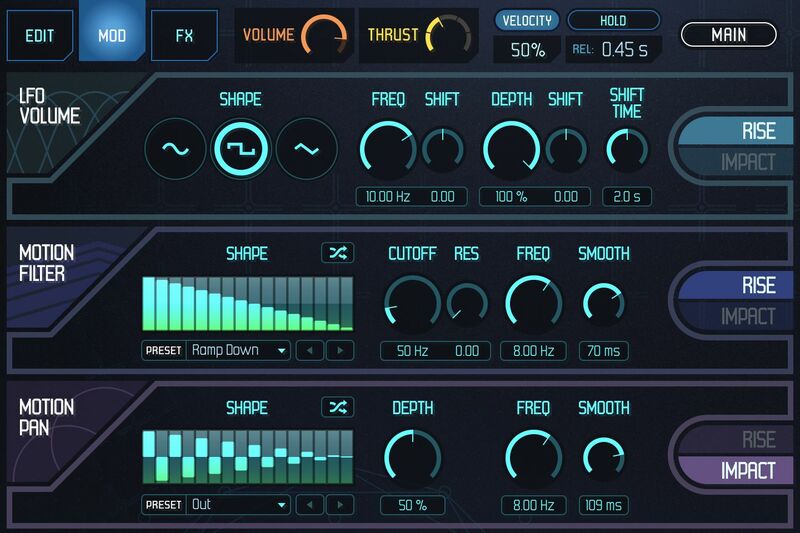 Synthesized sounds created in Falcon specifically for Meteor add massive weight and presence, from rich bass and textures to glitches, warps, sizzles, complex noises beds, synthetic swells and futuristic effects. 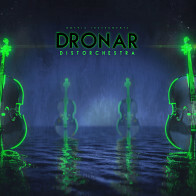 Special symphonic orchestra sessions were recorded exclusively for Meteor to provide powerful and emotive musical building blocks with pure highs, detailed mids and an accentuated and deep low-end. These included a string session with 32 cellos and double-bass in a full-stage arrangement, a brass session focused on the deepest tones made up of tubas, bass trombones, french horns, bassoons and contrabassoon, and a percussion session with 4 percussionists capturing all sorts of builds and impacts. 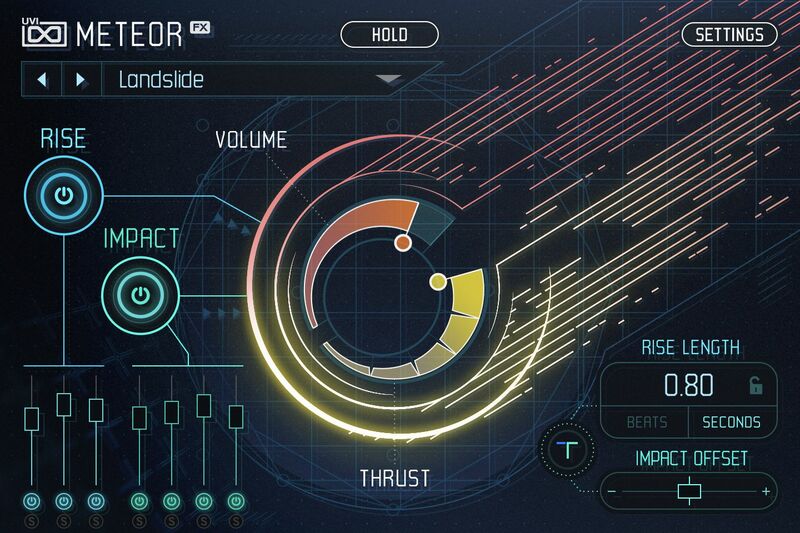 A creative and powerful sound design tool with an immediate and intuitive workflow, Meteor delivers emotive orchestral gestures, dynamic risers and thunderous impacts perfect for film, games, music and more. The Following End User License Agreement is included with Meteor. This License is only valid for the individual who has purchased an unopened, new and lawfully made copy of Meteor from a dealer or distributor authorized by Big Fish Audio. "COPYRIGHT LAWS HAVE RECENTLY BEEN STRENGTHENED. IT IS IN YOUR BEST INTEREST TO READ AND FOLLOW THIS AGREEMENT. This copy of the Sounds & Software (the Product) are licensed to you as the end user. Please read this Agreement carefully. You cannot transfer ownership of these Sounds and Software they contain. You cannot re-sell or copy the Product. 1. License Grant. UVI, brand (UVI) grants to you, subject to the following terms and conditions, a non-exclusive, nontransferable right to use each authorized copy of the enclosed Product. The enclosed product is the property of UVI and is licensed to you only for use as part of a musical performance, live or recorded. This license expressly forbids resale or other distribution of the sounds and software included in the Product or their derivatives, either as they exist on disc, reformatted for use in another digital sampler, or mixed, combined, filtered, resynthesized or otherwise edited, for use as sounds, multisounds, samples, multisamples, wavetables, programs or patches in a sampler, microchip or any hardware or software sample playback device. You cannot sell the Product content or give it away for use by others in their sampling or sample playback devices. In the event UVI terminates this Agreement due to your breach, you agree to return the original and all other copies of the software and documentation to UVI. UVI reserves all rights not expressly granted to you. 2. Protection of Software. You agree to take all reasonable steps to protect this product and any accom- panying documentation from unauthorized copying or use. You agree not to modify the enclosed product to circumvent any method or means adopted or implemented by UVI to protect against or iscourage the unlicensed use of copying of the enclosed Product. 3. Ownership. As between you and UVI, ownership of, and title to, the enclosed digitally recorded sounds (including any copies) will be held by UVI. Copies are pro- vided to you only to enable you to exercise your rights under the license. Only this license is purchased by you. 4. Term. This Agreement is effective from the date you open this package, and will remain in full force until termination. This Agreement will terminate if you break any of the terms or conditions of this Agreement. Upon termination you agree to destroy and return to UVI all copies of this product and accompanying documentation. 5. Restrictions. Except as expressly authorized in this Agreement, you may not rent, sell, lease, sublicense, distribute, transfer, copy, reproduce, display, modify or time share the enclosed product or documentation. THE SOUNDS IN THIS INSTRUMENT ARE GUARANTEED TO BE 100% COPYRIGHT CLEAN © UVI.net. All rights reserved. All trademarks are the property of their respective holders. UVI.net is registered trademarks of Univers Sons, SA"